Toronto has an insatiable appetite for artwork you can't find anywhere else. With large-scale murals covering some of the city's most thoughtfully designed restaurants such as Bar Isabel, Rhum Corner and El Catrin, there's no shortage of fresh paint in a city full of burgeoning designers, illustrators and mural artists. Pulling from the city's latest projects, collaborations and murals, here's my list of Toronto-based artists that everyone should know about. Jimmy's Coffee made history with the famous Mount Rushmore mural on Gerrard and Bay. 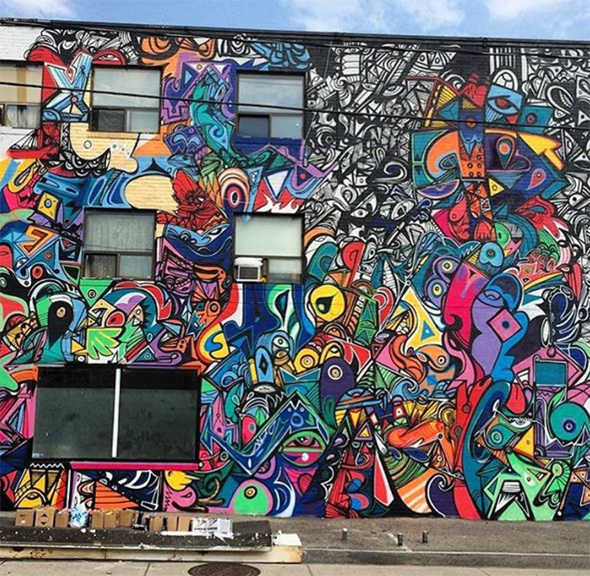 Painted by Christiano De Araujo, this mural artist recently transformed the new Flight Center on Queen West, replacing the former Beer Store piss wall. You can thank Ben for the Kit and Ace stamp design and Sorry Coffee graphics, in addition to the handful of typographic murals commissioned by Lululemon, Vitaly, Jameson Canada, Nike and PanAm Games. 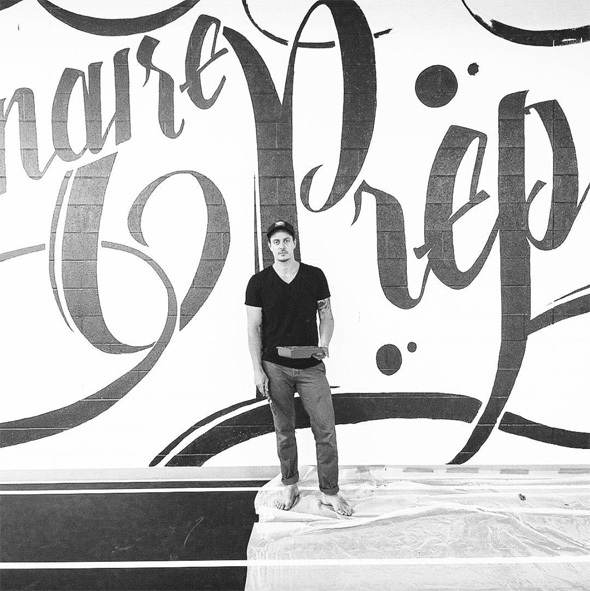 Full-time freelancing as a self-taught designer, Ben's got a way with hand-painted words. 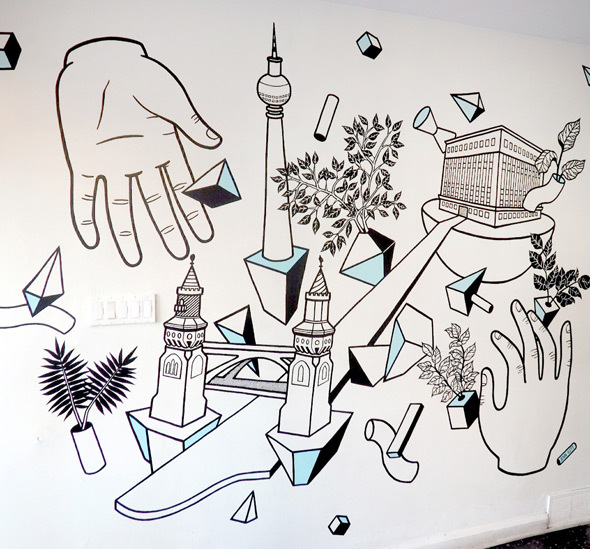 If you've had the pleasure of devouring a currywurst at Otto's Berlin Doner, chances are, you've seen the exploding mural by Kensington artist, Jennifer Ilett. 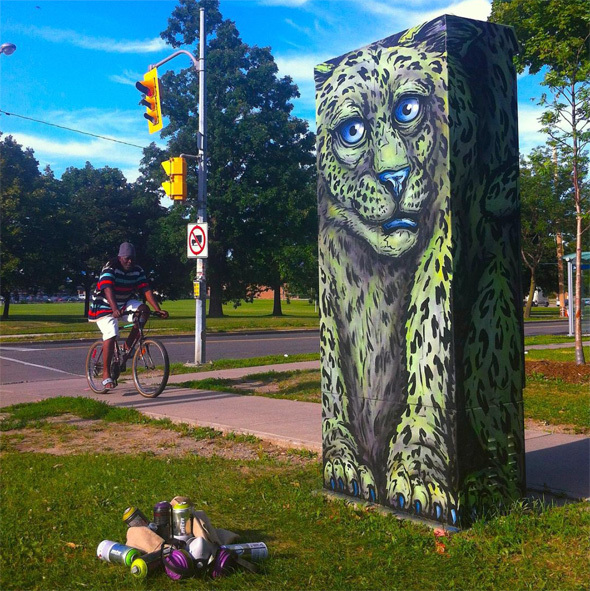 In Harbord Village, watch out for freshly painted lions in David French Lane painted by illustrator and mural artist, Andrea Manica. See more of her work, alongside The Buck Teeth Girl's Club, at Burdock Brewery, Second Cup and graffiti alleys across the city. As part of the "Outside The Box" project, artist Jeff Blackburn adds a touch of wildlife with pink grizzly bears and raccoons occupying the traffic signal boxes in front of The Rex and other places across the city. 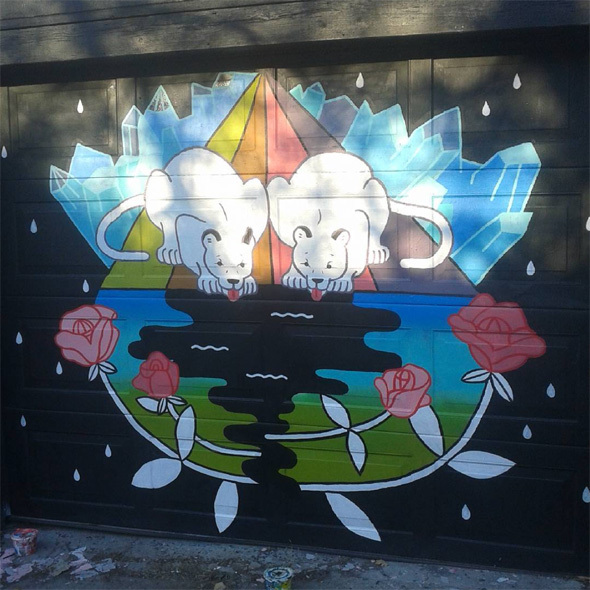 West of Northwood, you'll find Studio 835's Make Good mural by 416Gallery Owner and artist Jimmy Chiale. Casting light on the corner of Bloor and Shaw, it's hard to miss with Chiale's signature bold black lines and pockets of colour. See more of his work at Tequila Bookworm. 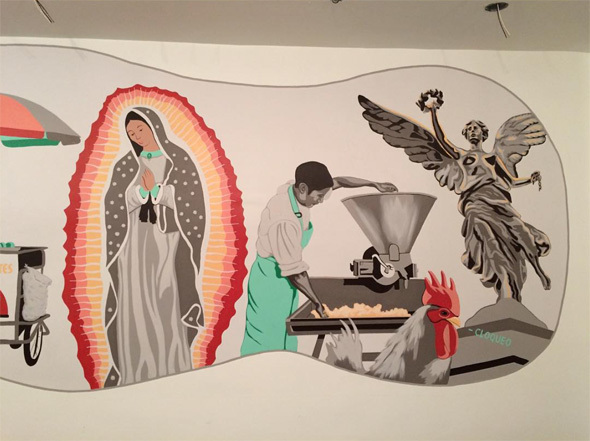 King West's Campechano is a newish taqueria joint complete with a large-scale acrylic masterpiece by fine artist Luke Pollard. Emphasizing causal street food, Pollard brings a realism that's traditional and pretty. 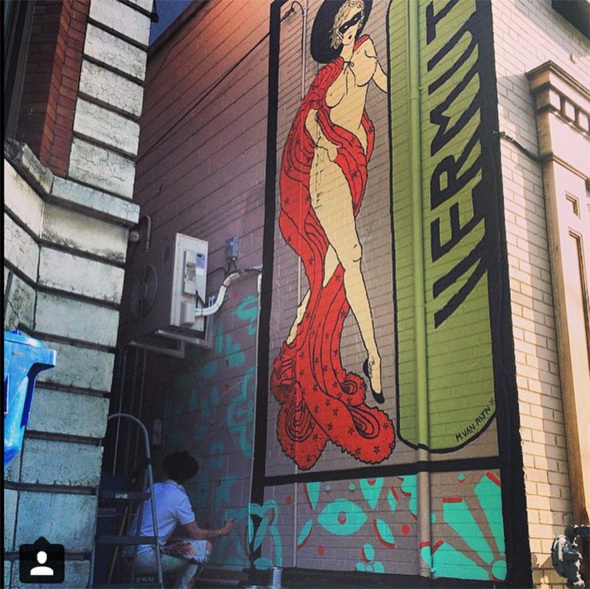 Lock eyes with the 30-foot caped woman, posing next to a bottle of vermouth on the east-facing wall of Bar Isabel. Painted last summer, artist Madison van Rijn adds a romantic touch to Grant van Gameren's beloved Spanish tavern. 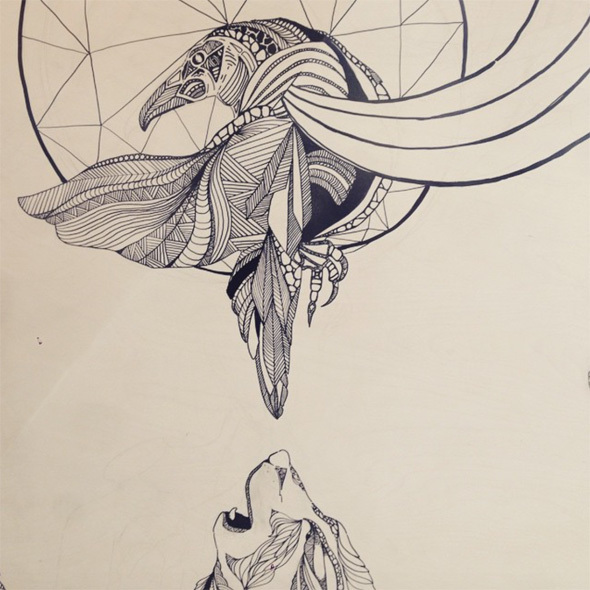 Inside buzzy local hubs like Bolt Fresh Bar and ODIN Hus, you'll find extraordinary artwork by Tara Rose, a local artist well-known for body painting, intricate designs and tattoos. Toronto is obsessed with plants. 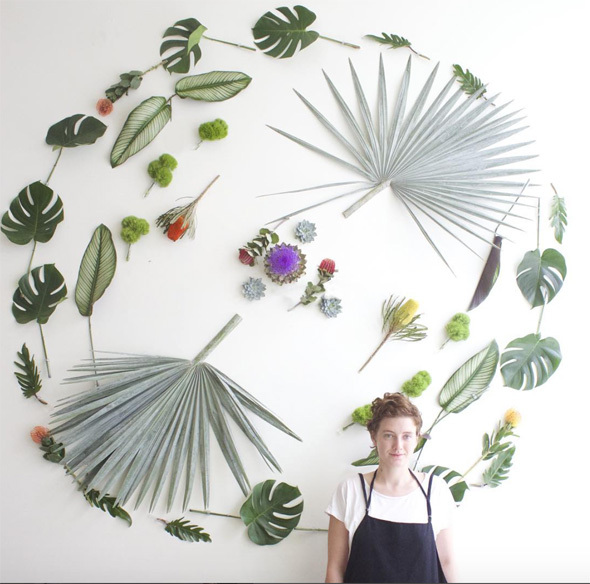 Artists Madison van Rijn and Lauren Alexandra Wilson team up to create enchanting plant-based installations across the city. See their latest work at Holt Renfrew and LoversLand on Instagram. Photo of Christiano De Araujo's mural via his web site. All other photos via the artists' Instagram accounts.